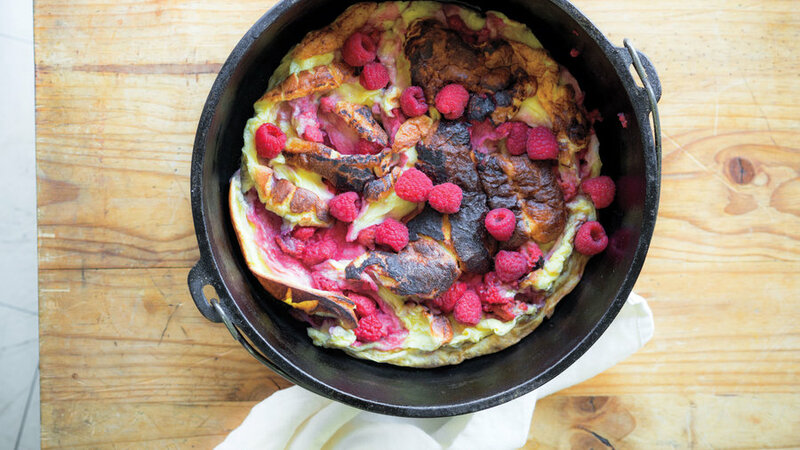 Make sure to check out the how-to on cooking in a dutch oven at camp. 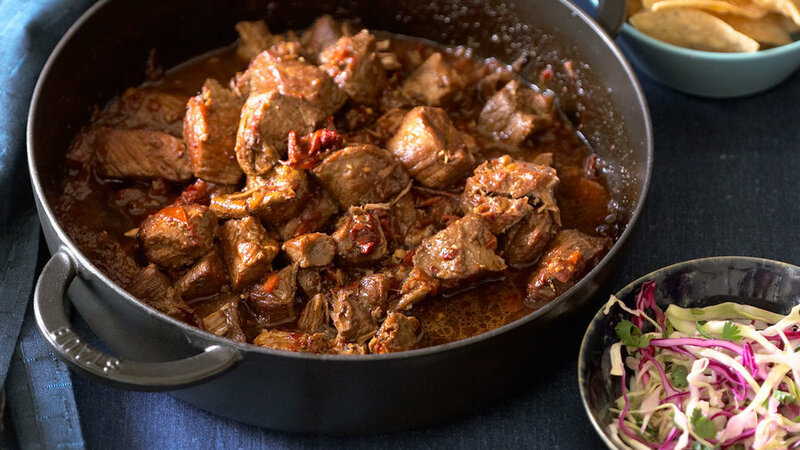 At home and in camp, this heavy pot with a tight-fitting lid is your ticket to everything from comforting stews and soups to warm biscuits and chocolate cake. For the home kitchen, pull out a flat-bottomed pot like the enamel-covered beauties made by . 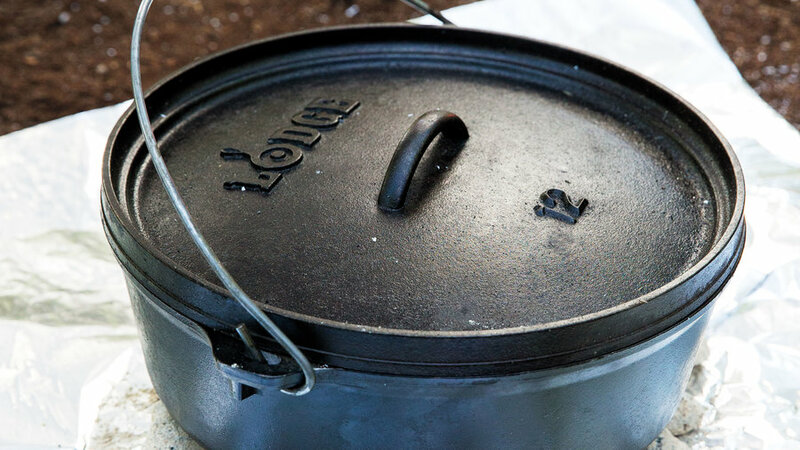 For cooking in the woods, you need a cast-iron camp dutch oven like the ones made by Lodge—with little feet and a rimmed lid for holding hot coals. 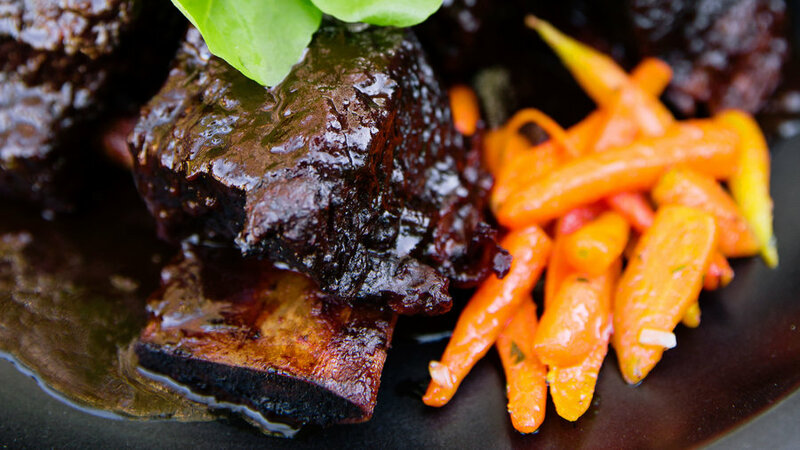 Taking the time to brown the meat and cook the ingredients slowly, in stages, pays off with incredibly deep flavor. 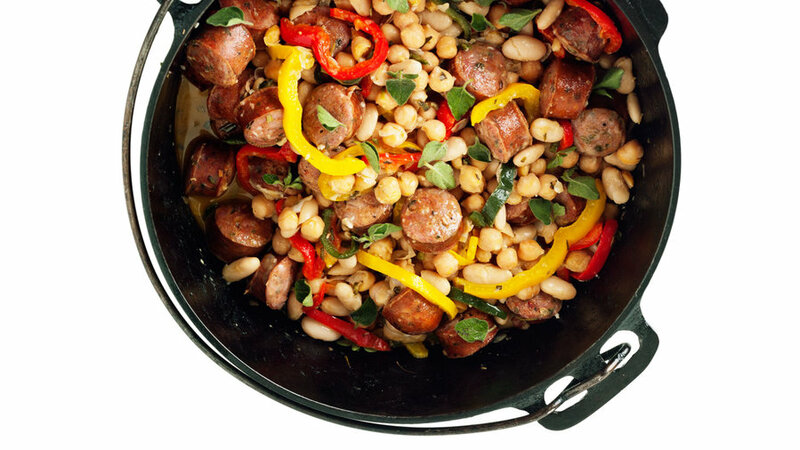 Though designed for cooking in camp, this one-pot meal works beautifully on a home stove. Pork shoulder, smoked bacon, and Spanish chorizo, with Jack Daniel’s? Now you’re talking. 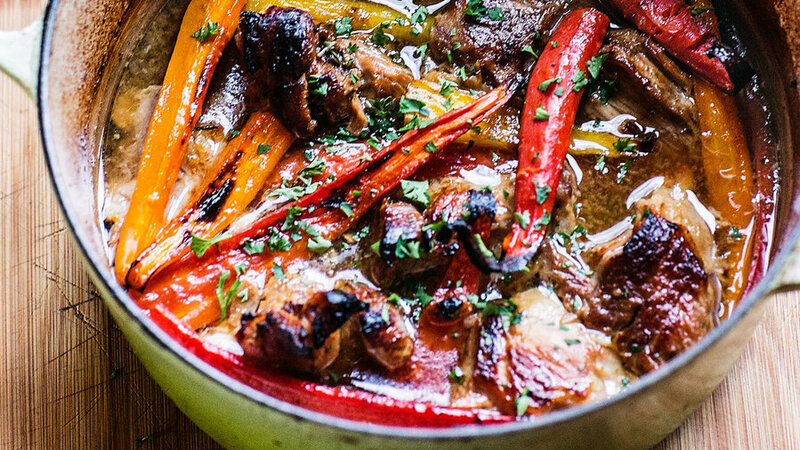 Pork and apples were made for each other. A mild Mexican lager complements but doesn’t overpower the chiles and tequila. 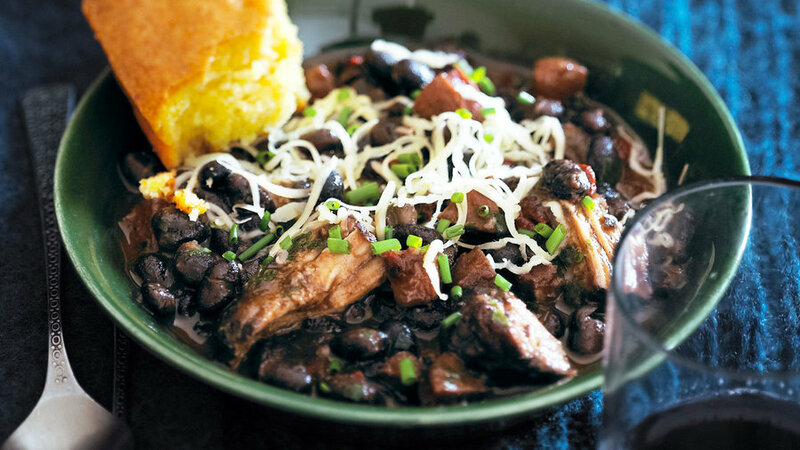 If you’re new to dutch oven camp cooking, this easy stew is a great place to start. 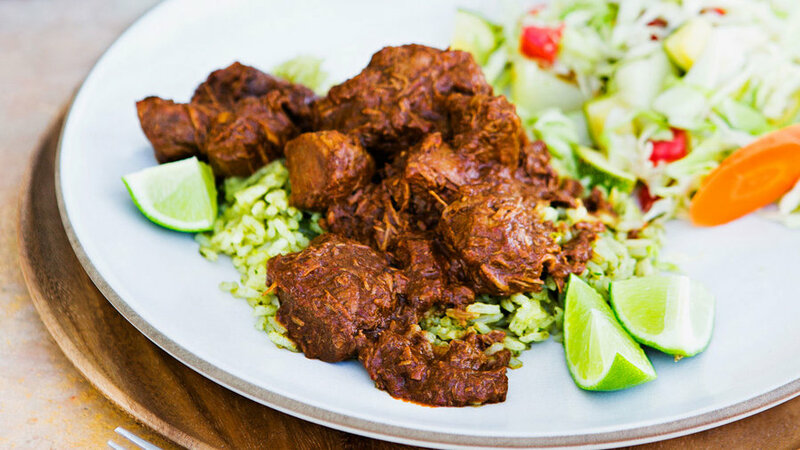 This version of the classic Mexican stew called birria includes three kinds of dried chiles and a little tang from lime and vinegar. 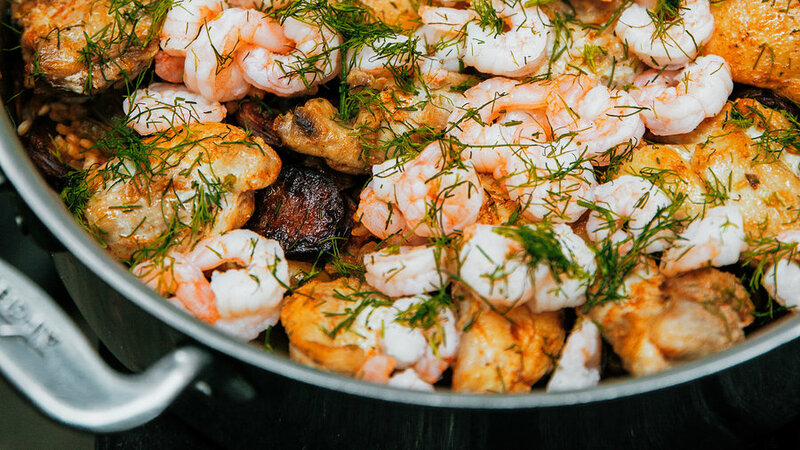 Think of all the flavors you love in paella, in a fraction of a time—and without the need for a special pan. 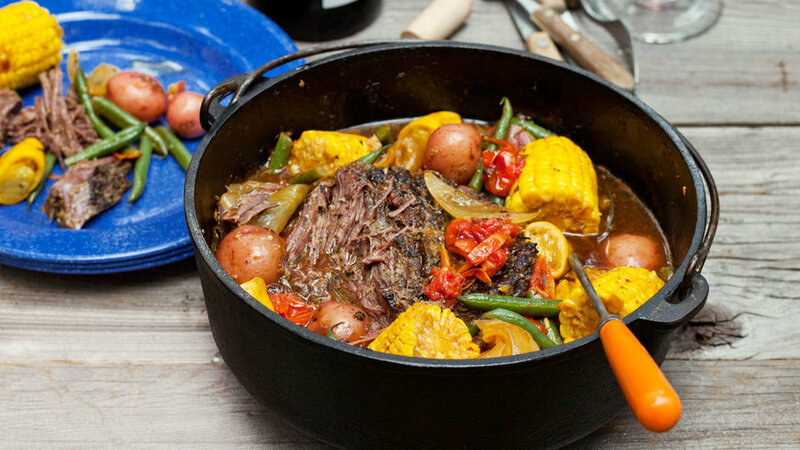 Not every dutch oven dish simmers all afternoon. This one is ready in an hour. 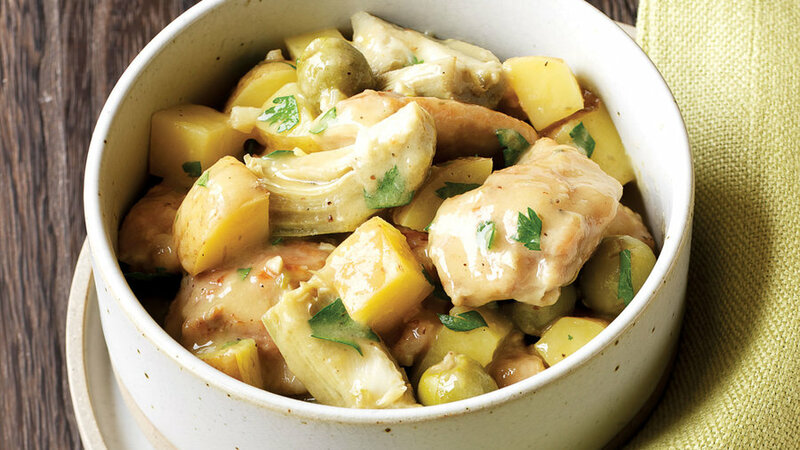 Bright flavors of citrus, artichokes, and tangy olives bring in rave reviews every time. 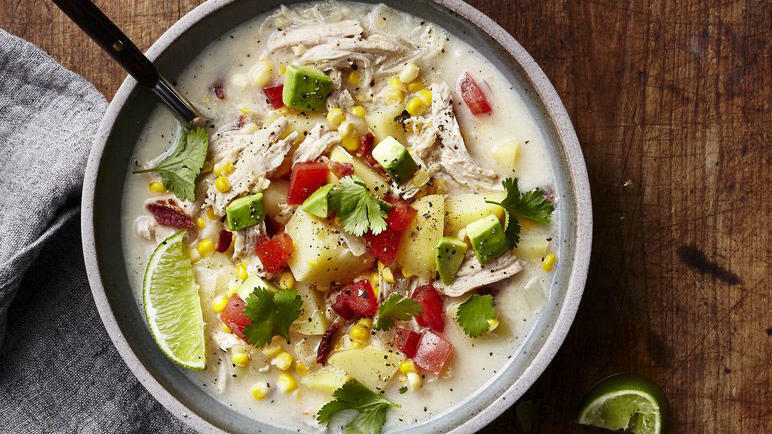 Leftover grilled chicken is all the excuse we need to whip up this chowder with bacon, avocado, and corn. 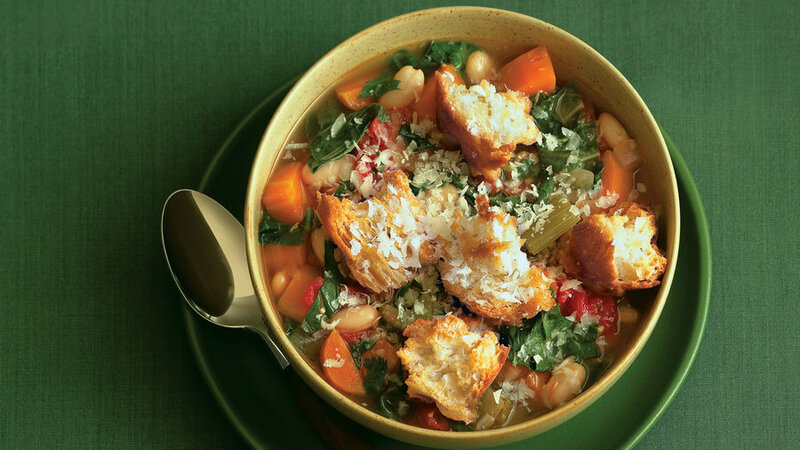 Five kinds of vegetables, plus mellow cannellini beans, make this soup healthy as well as delicious. 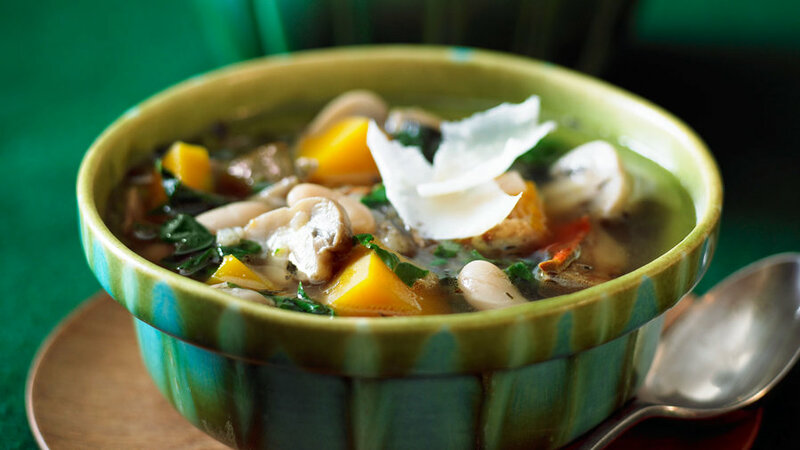 For a vegetarian version, go for vegetable broth instead of chicken. 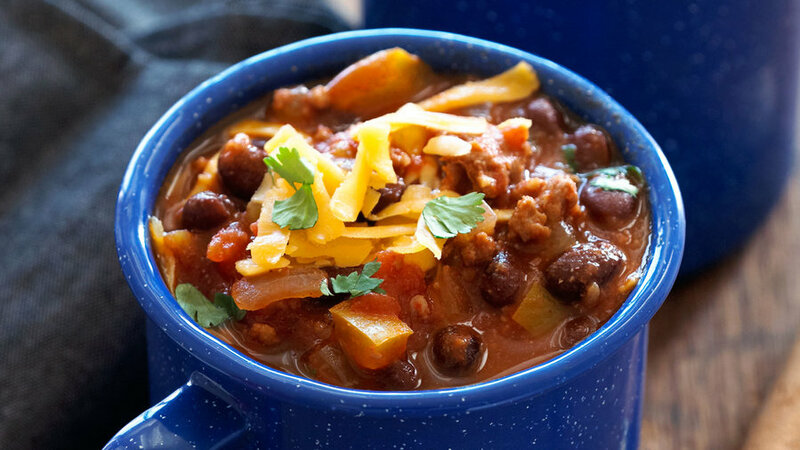 Here’s a lighter take on classic chili, but with plenty of seasonings to make it exciting. If you shop for pre-cubed squash and precooked wild rice, you can have dinner on the table in only 35 minutes. 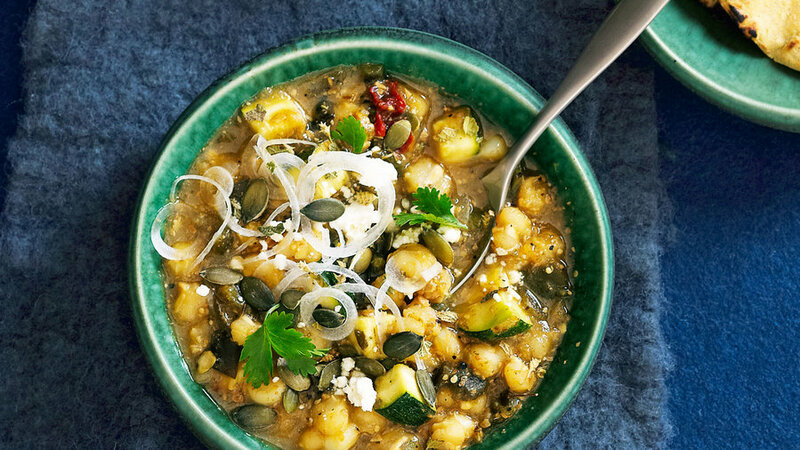 We took the flavors we love in a traditional posole, then added a hearty pumpkin seed salsa for this vegetarian version. 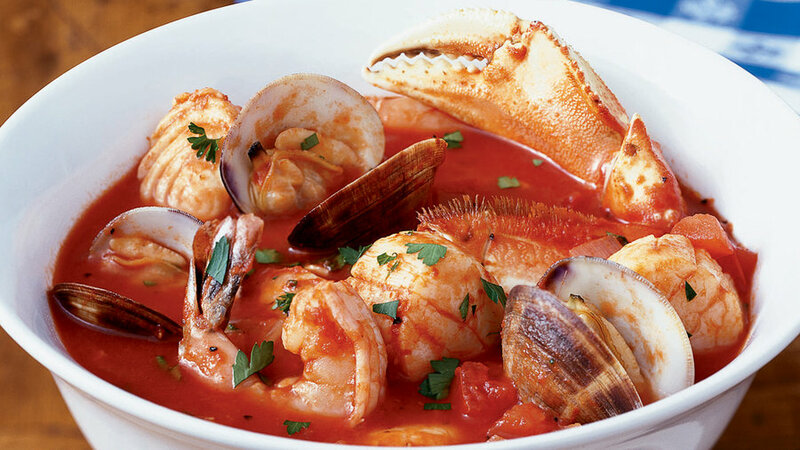 A heavy dutch oven is the perfect pot for cooking the classic California seafood stew. 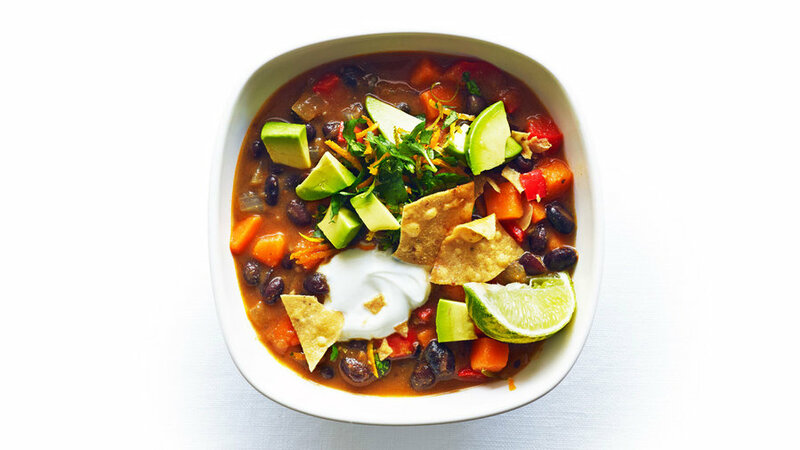 Though hearty, this meatless chili has a lighter profile—and check out the beautiful colors. 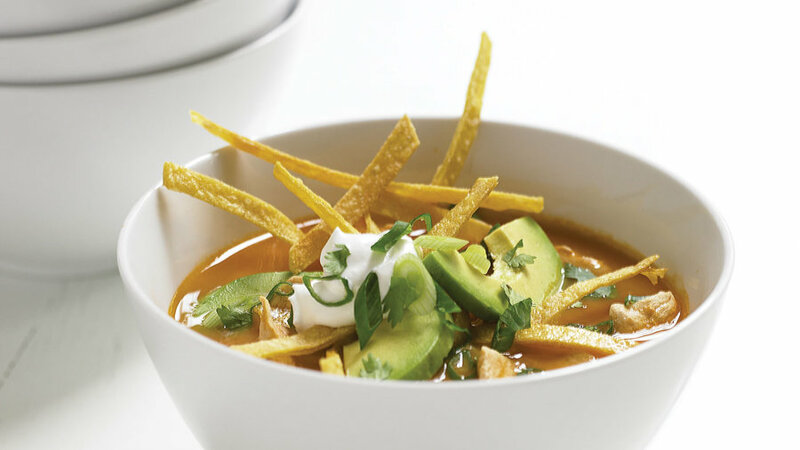 Crisp, homemade tortilla “whiskers” dress up bowls of soup, but you can use store-bought chips if you’re in a rush. 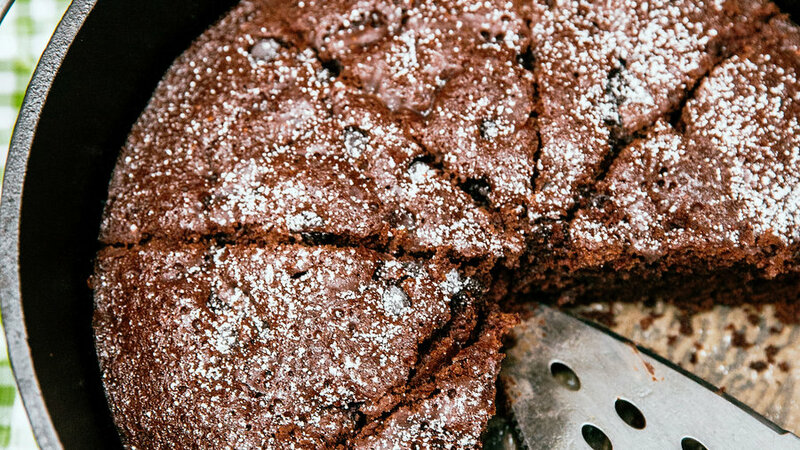 The promise of chocolate cake in camp is reason enough to pack your dutch oven. Use charcoal briquets instead of wood to more precisely control the fire’s heat. 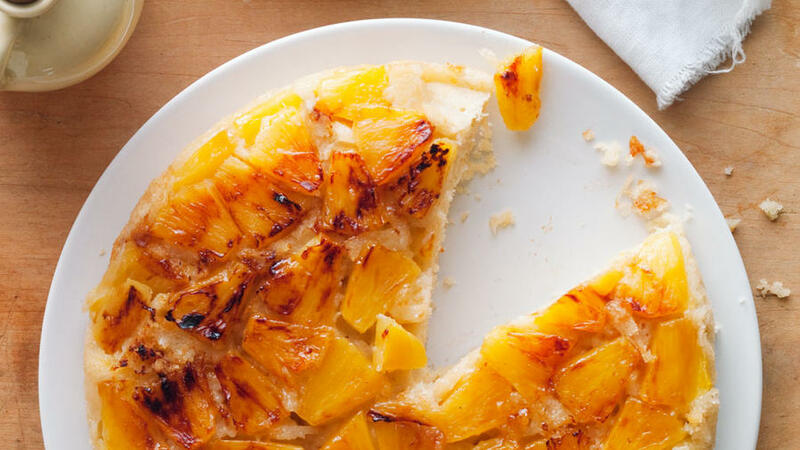 This moist, coconut-scented upside-down cake for camp is made with fresh pineapple. 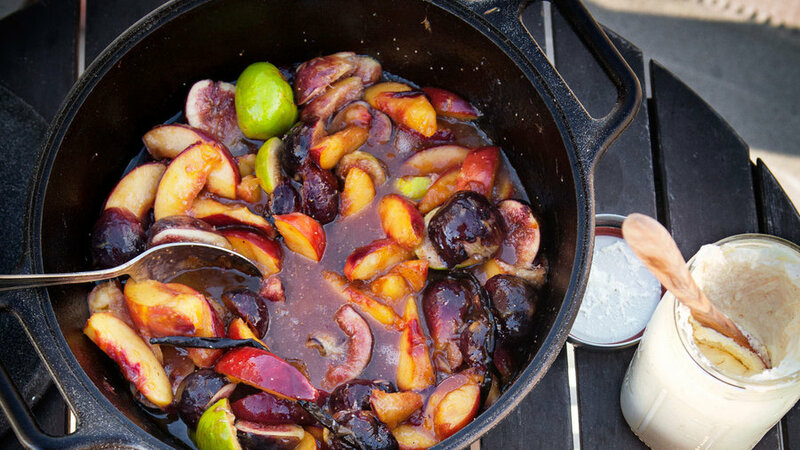 While a campfire adds a certain rustic charm to the process of cooking a big pot of ripe summer fruit with browned butter and sugar, you can easily make this recipe on a regular stove. It’s a great dessert for a party, as it makes enough for 10 to 12. Mark Klever, the general manager at Belcampo Farms near Mt. 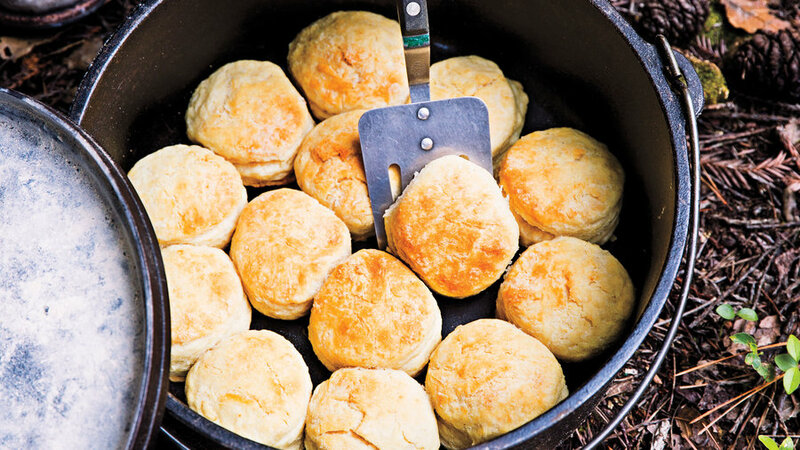 Shasta, California, learned to make these biscuits from his grandmother. He renders his own lard from Belcampo's free-range pigs, and he bakes up a batch for his family nearly every week, just like his family used to do. You'll need to pack a 2 1/2-in. biscuit cutter; or use a small glass and cut around it with a knife. 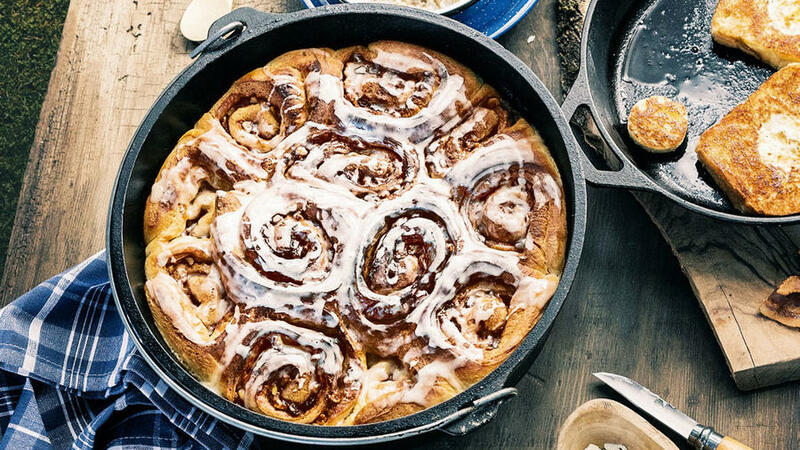 Get a jump-start on these treats at home. 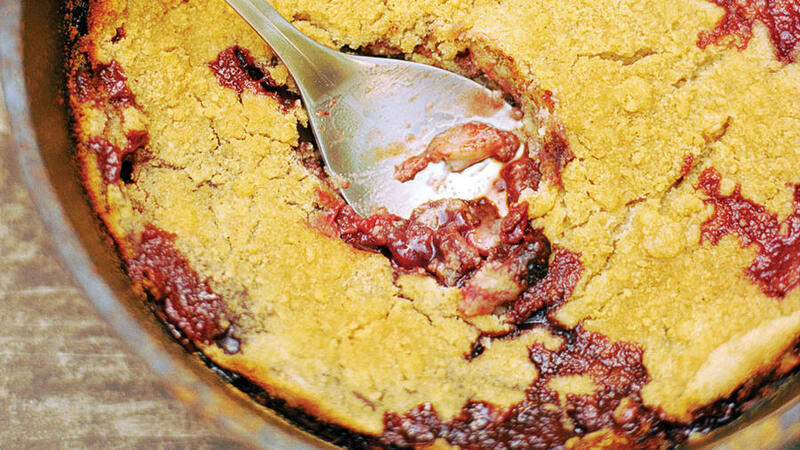 If you make the dough and stash it in your freezer, and let it thaw in your cooler, then hen baking it in a dutch oven at camp is a cinch.